The Canon PRINT Inkjet/SELPHY app for iOS and Android allows you to effortlessly print copy and scan using your smartphone or tablet, directly access cloud services and even remotely check printer status, the manual or real-time ink levels. Download it for free and revolutionise the way you print, copy and scan. Printing photos and documents stored on your smartphone and tablets is effortless either using your local Wi-Fi network, built in access point mode or Wi-Fi Direct on compatible printers and devices. Just connect, select and print. Check printer status, ink information and access the online printer manual, plus carry out printer maintenance using your smartphone or tablet. You can quickly and easily set up your account and register your PIXMA cloud link printer via the mobile app. Print your PDF files, Word, Excel and PowerPoint documents straight from popular online storage services such as Evernote, Dropbox, OneDrive Google Drive, and SlideShare*. *SlideShare is a trademark of SlideShare, Inc. Easily browse and print high quality JPG images in seconds straight from social networks like Instagram, Facebook and Twitter and from online photo storage albums on Flickr, Photobucket and more. Connecting to a printer with built-in NFC is fast and easy via the Canon PRINT Inkjet/SELPHY App - just touch your NFC enabled Android device to the printer and you’re ready to go. 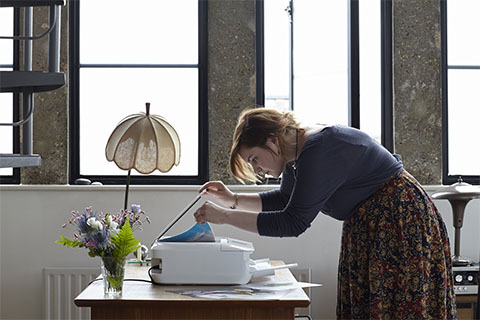 The NFC technology creates an instant connection between your device and the printer, registering the printer and transferring the data for you, no drivers or passwords needed. Are all functions available on all printers i.e. print, copy, scan, cloud? How do I add a printer once I’ve installed the app? 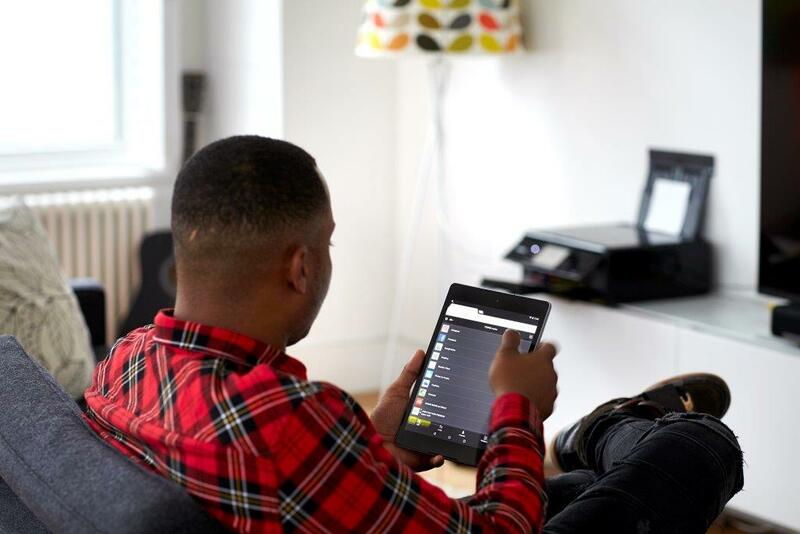 Ensure both printer and smart device are on the same Wi-Fi network. Select the ‘Add Printer’ icon on the top left hand corner of the page, and then choose Register Printer. The app will then search for any printers on the same Wi-Fi network as your device. Once found, you can select the printer and give it a unique name. Can I still use the app to print/copy/scan without an internet connection? 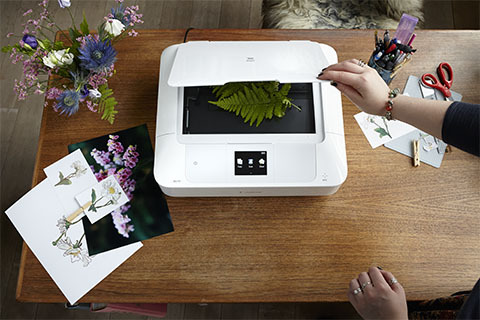 Yes - you can still print using the app without an internet connection, using ‘Access Point Mode’ or ‘Wi-Fi direct’ if your printer/device supports it. How do I print using the PIXMA Cloud Link? The following steps will let you register your printer and device to the PIXMA Cloud Link. Follow on screen instructions to create PIXMA Cloud Link account and register. Does NFC work with my camera? No. Printers that support NFC will only let you print from a NFC enabled smart device, via the Canon PRINT Inkjet/SELPHY app. How do I register another printer with the app? What file formats are supported for printing? How do I remove a printer? For Android devices - select the ‘Add printer’ icon from the main menu and click the X next to the printer you want to delete. Why can’t I access Easy-PhotoPrint+ from my smartphone? Easy-PhotoPrint+ is only accessible on a tablet and not smartphone.